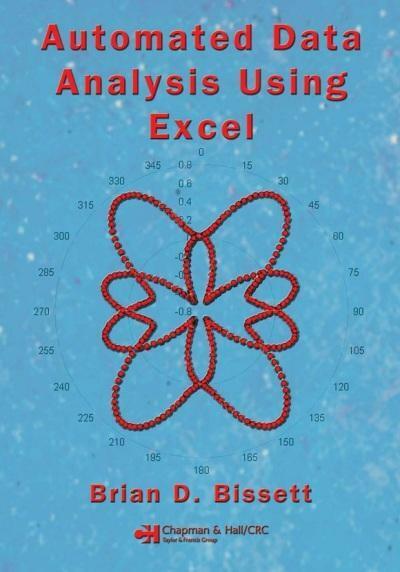 Automated Data Analysis Using Excel | Free eBooks Download - EBOOKEE! Posted on 2013-08-01, by nobihai. Automated Data Analysis Using Excel 2007 | ISBN-10: 1584888857 | 480 pages | PDF | 23 MB Because the analysis of copious amounts of data and the preparation of custom reports often take away time from true research, the automation of these processes is paramount to ensure productivity. Exploring the core areas of automation, report generation, data acquisition, and data analysis, Automated Data Analysis Using Excel illustrates how to minimize user intervention, automate parameter setup, obtain consistency in both analysis and reporting, and save time through automation. Focusing on the built-in Visual Basic® for Applications (VBA) scripting language of Excel®, the book shows step-by-step how to construct useful automated data analysis applications for both industrial and academic settings. It begins by discussing fundamental elements, the methods for importing and accessing data, and the creation of reports. The author then describes how to use Excel to obtain data from non-native sources, such as databases and third-party calculation tools. After providing the means to access any required information, the book explains how to automate manipulations and calculations on the acquired data sources. Collecting all of the concepts previously discussed in the book, the final chapter demonstrates from beginning to end how to create a cohesive, robust application. With an understanding of this book, readers should be able to construct applications that can import data from a variety of sources, apply algorithms to data that has been imported, and create meaningful reports based on the results. No comments for "Automated Data Analysis Using Excel".